Did the landlord provide adequate alarm systems? Did the landlord fail to make upgrades to its fire safety system when required by law? Did the landlord fail to adequately maintain alarm systems? Did the landlord follow fire safety codes? Did the landlord fail to properly maintain an electrical system leading to a fire? Did the landlord fail to provide a fire suppression system when required by law? Did the landlord comply with city, county, state, and federal law regarding fire safety? Was there a safe exit for each apartment unit? Did an unsafe product cause the fire? Did a contractor or construction company cause the fire? Did an adjacent property owner or business cause the fire? Was the building adequately constructed to prevent the spread of fire from one unit to another? What could have been done to prevent the fire? You deserve answers! These questions and others require an investigation by experienced lawyers that have the resources to consult with the best fire safety experts and find accountability after injuries and deaths in apartment and house fires. We can help. Our experienced personal injury and wrongful death lawyers have decades of experience in personal injury claims. 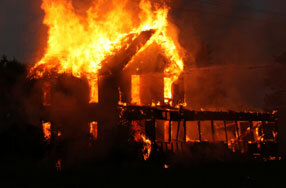 We can help provide answers when your family is devastated by injury or death from an apartment or house fire. Because our lawyers have litigated thousands of cases in Washington State, we know how to effectively present your case in court. Over the years, we have learned that being ready for trial is the best way to encourage settlement from liable parties. We only represent injured persons and their families, not insurance companies or apartment building owners. We take cases on contingent fee, which means you do not pay any attorneys' fees unless we are able to make a recovery from you. In most cases, we advance the costs associated with conducting an investigation and finding accountability for the fire. We are a resource for families and offer a free consultation to discuss the facts of your case and whether you want to retain a law firm to investigate for you. When you need answers and accountability for a house or apartment fire, contact us online or call 206.624.8844 for a free consultation.